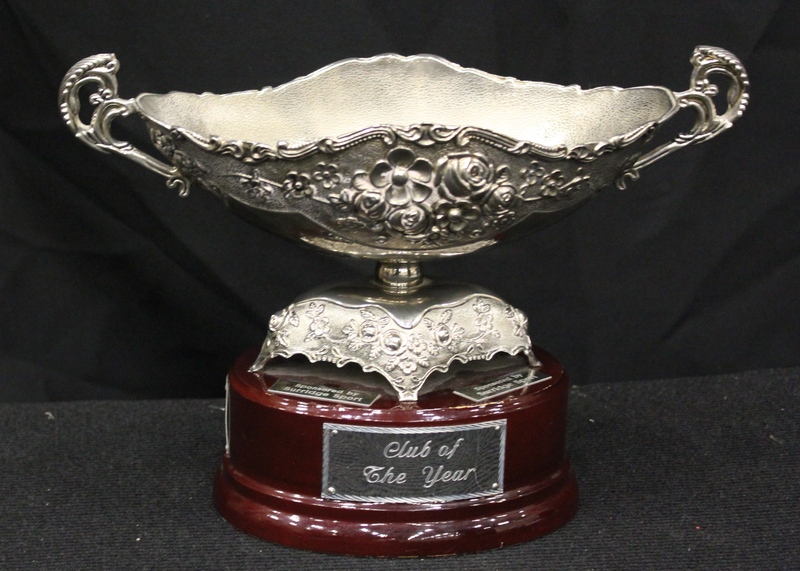 RSKC wins Community Club of the year 2013. For the past 35 years the aims of the club are to make karate training and codes of behaviour available to all members of the community. RSKC is a truly Rossendale club providing training opportunities across the valley for all ages from Kindergarten to age 60 and over covering a range of abilities. Sensei Ian Garside is greatly supported by the club’s highly experience team of instructors who between them have over 80 years’ experience and are graded from 1st Dan to 3rd Dan. Liam Stone wins Young Volunteer of the Year 2013. Liam is the club’s main junior instructor. He dedicates a large amount of his time helping to instruct at most classes during the week. 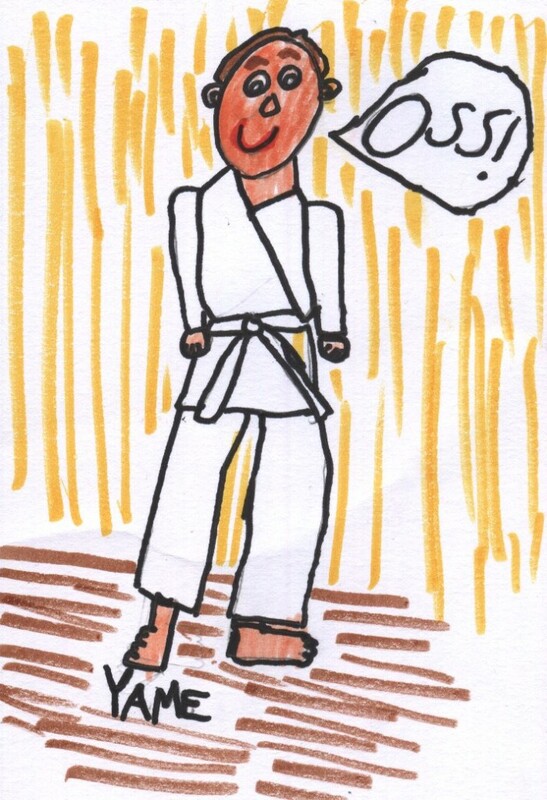 However, his main commitment is assisting the chief instructor with the clubs’ Kindergarten Karate group. The Future is Bright and definitely Orange. The future is bright and definitely orange for three junior members of Rossendale Shotokan Karate Club. 6 year olds Elliot Vidler, James Tonge and Harvey Bell all graduates from the clubs Kindergarten group ‘The Tiger Cubs’ were all awarded their Orange Belts by internationally renowned Sensei Andy Sherry 9th Dan. This was an historic occasion for the club as these will hopefully be the first of youngsters to progress from the Tiger Cubs. Once again the club had a 100% successful pass rate. Sensei Sherry is the highest graded European instructor in the world and Chairman of the Karate Union of Great Britain, and is renowned for his high standards when grading,. Sensei Garside Chief Instructor at the Rossendale Club said I was extremely pleased with every ones performance but especially our orange belts, it gives me great satisfaction to their improvement and the change in them over the last few months. 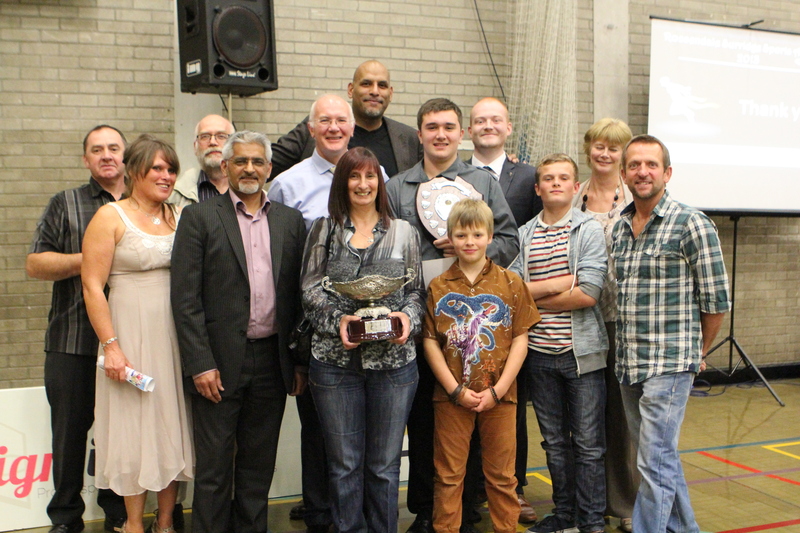 It is a great achievement for both the students and their instructors as all the hard work has paid off. The club is extremely lucky to have such an eminent figure from the world of karate to regularly visit the club throughout the year for training courses and gradings. On this occasion twenty members of Rossendale Shotokan Karate Club successfully passed their gradings, this was following a gruelling training session which took students through all the requirements of the grading syllabus, with a number of interesting sparring drills to keep the senior black belts on their toes. The other big cause for celebration was Sensei Sherry’s 70th Birthday. 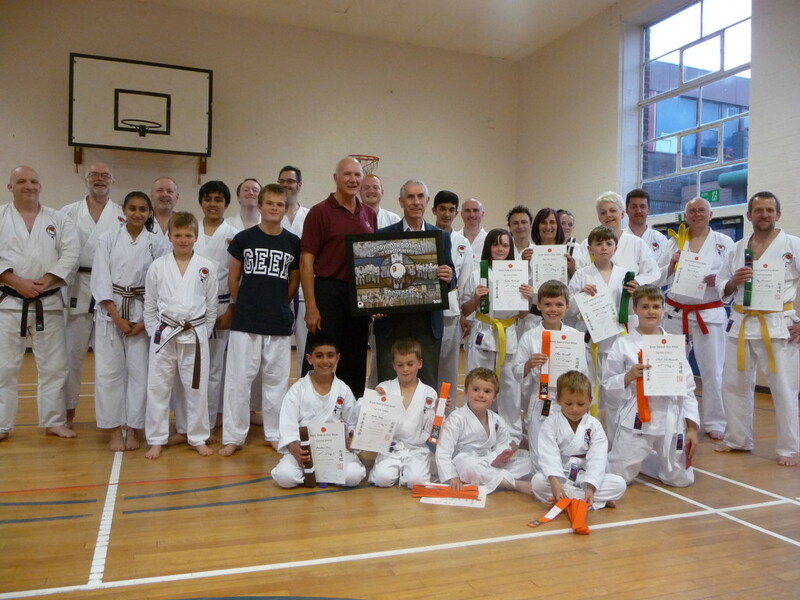 The club presented Sensei Sherry with a collage of photos taken over the 25 years he has been visiting the club. Sensei look slightly abashed as the club members spontaneously sang ‘Happy Birthday’ to him. After the grading Sensei Sherry said that he was very pleased with his present and very impressed with the high standard they were ‘Top Class’. The students showed good attitude and spirit. There are number of families that train at the club. The club promotes this by having special rates for families. For anybody interested in taking up karate, beginners’ courses are starting now. For details contact Ian on 01706 878795.